A new lapping solution has been developed by Bondor to address the shortcomings in existing roof lap products. 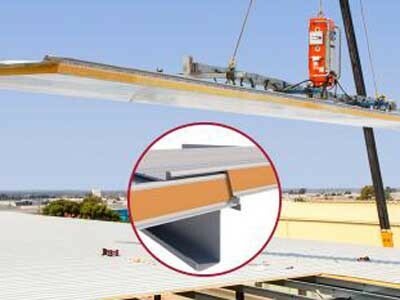 Sheet-to-sheet end laps currently available in the market have caused complications throughout Australia’s commercial roofing industry, resulting in leaking roof laps in several shopping complexes around the country. Apart from being very difficult to rectify, these products offer no clarity on material warranties, coverage and period. SecureLap from Bondor/ Metecno offers a low cost solution and takes a simplistic approach to connecting long panel roof runs over one purlin (rather than two with expansion steps). SecureLap was developed specifically as a unique lapping solution for local Australian conditions through industry-wide feedback and consultation, extensive in-house product development and rigorous weather testing to Australian Standards (conducted by CSIRO). For more information on how SecureLap can provide watertight security and warranty confidence to your next project, download the brochure or contact your nearest Bondor/Metecno office.